Many of the sub tabs within Broker Brain (the tabs in the right pane) are editable, meaning you can modify the information contained within them. The process for editing information on any sub tab is the same. 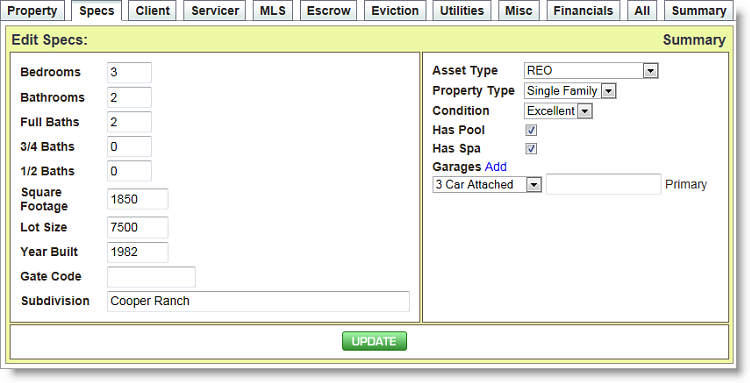 Following is an example of editing done on the Specs tab (located in Properties>Main), shown highlighted in yellow below. 1. Select the tab you wish to edit. 2. Click the Edit button, shown circled in red below. 3. The screen will appear outlined in yellow, indicating that it is in Edit mode. 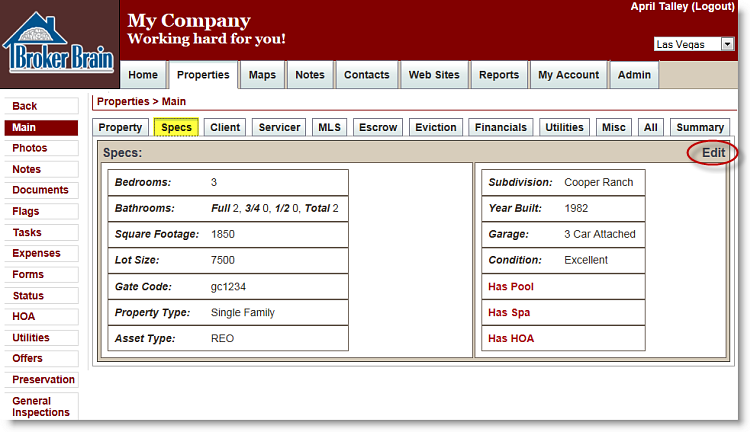 You can now add or modify information as desired. 4. When you have finished editing, click the green Update button. Some tabs may have more than one Update button. If so, be sure you click update in each section to save your changes. Use the buttons below if you are navigating through Broker Brain University. To see what Broker Brain University is all about, click the Broker Brain University button shown below.